You know something’s up when you’re smelling a fresh bag of piping hot microwave popcorn in the middle of a steamy rainforest in Southeast Asia. 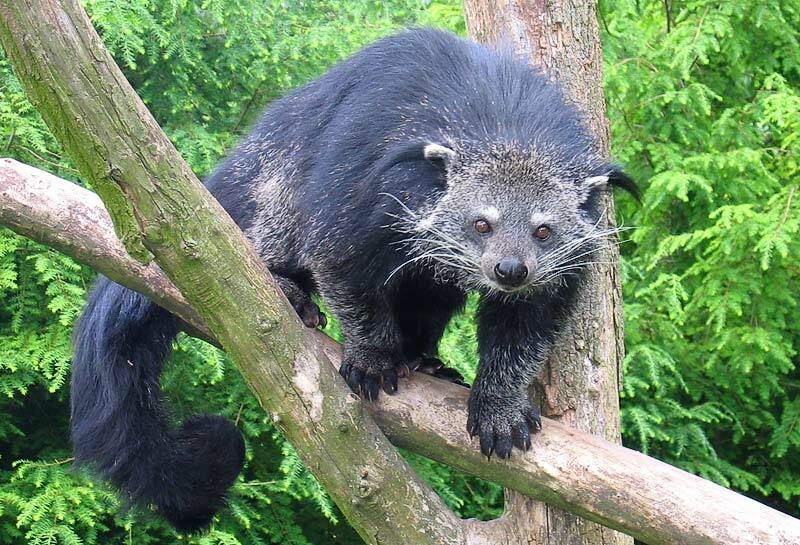 Chances are you’re near a Binturong, a civet-like animal that dwells in the forest canopy eating fruit and small animals. The Binturong has scent glands near its tail that produce a musk often compared to ‘warm buttered popcorn,’ corn chips and cornbread. Who’s hungry now? dog feet also smell like corn chips…i know this sounds really weird to know, but next time you are around a dog, smell it’s foot. I have wanted a binturong for so long! Give me that asian bear cat!